And we’re back for more woolly hat talk. 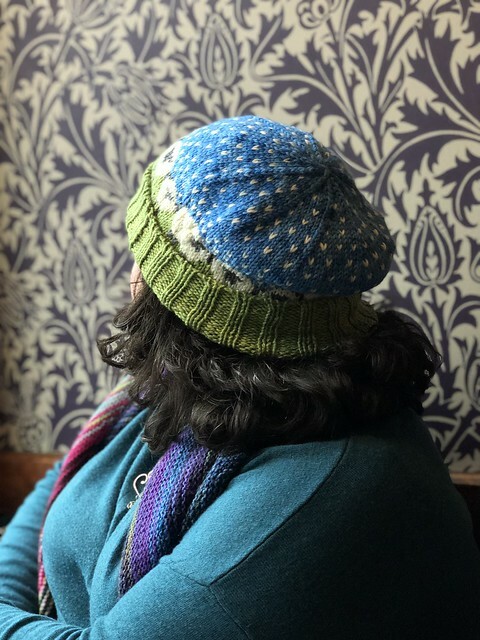 On Tuesday, I shared Marseille’s love of the Slouchy Copy Cat hat, but today we’re going to focus on one of the most popular stranded color work patterns on Ravelry. 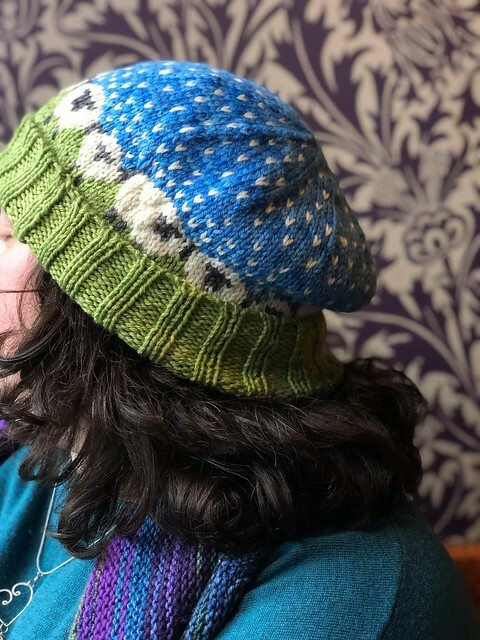 With good reason, Baa-ble Hat by Donna Smith is truly for wool lovers. Autumn is the ideal time to knit yourself a new winter hat. 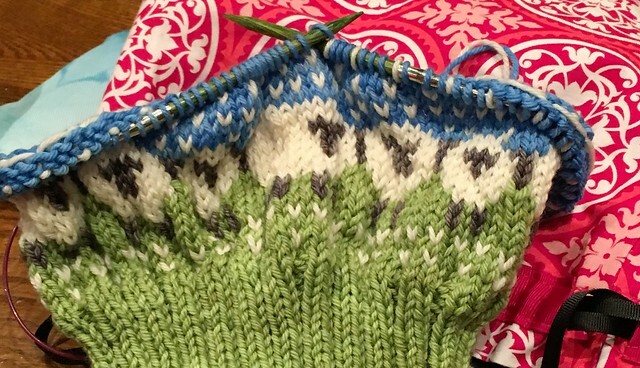 Marseille knit hers with US 8 – 5.0 mm and US 9 – 5.5 mm circular knitting needles using Wandering Wool Heights Worsted. The entire hat took about three weeks to knit. She took the project photos and I took the finished hat photos. Yay, team effort! 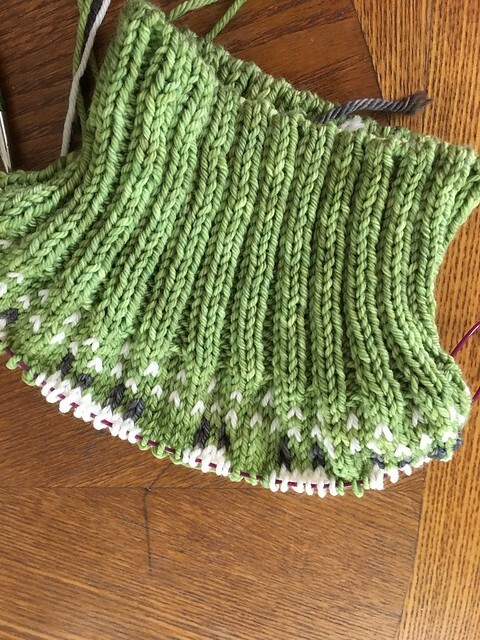 After a few of the ribbed rows, the excellent stretch and squish was apparent and the hat was sure to be an instant favorite. The sheep arrive in time to keep the knitting interesting, then the sky. Then the decreases come along to keep things from getting boring. It’s really nicely composed. The final project is soft, warm, and delightful. I love the result. Another beautiful knitting project from Marseille. On a side note, I’m on my way up to Dublin today for the Blog Awards of Ireland big event. I’m a finalist for Best Arts & Crafts blog along with many talented bloggers and my friends Cottage Notebook and The DKC. If you’re into this sort of thing, you can follow along on Twitter and Instagram – hashtag #bloggies18. Or you can look back at my previous posts about what it means to be in the running for such an illustrious award. I still intend to knit this one day–it’s such a cute colorwork hat! Yes! I think it would be fun.